Spokane's Finest for Over 65 Years! 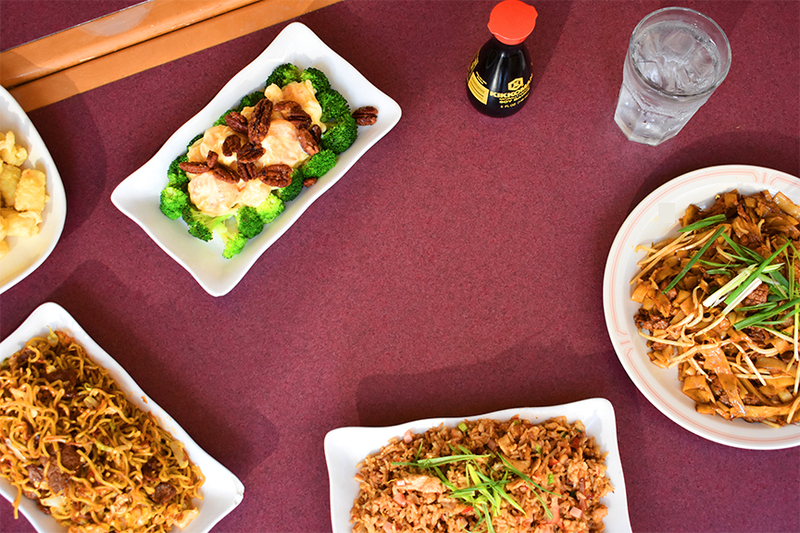 When you’re looking for the best Chinese food in Spokane, look no further than The Cathay Inn Chinese Food Restaurant! Our menu features a wide selection of dishes for you to choose from. Our friendly and experienced staff takes special pride in offering the finest quality meals and best customer service. Come visit our convenient location and enjoy our spacious dining room and lounge. Or if you prefer, call ahead to order one of the delicious Chinese food dishes on our takeout menu. We even have a large banquet/party room to host your special occasion or family outing. 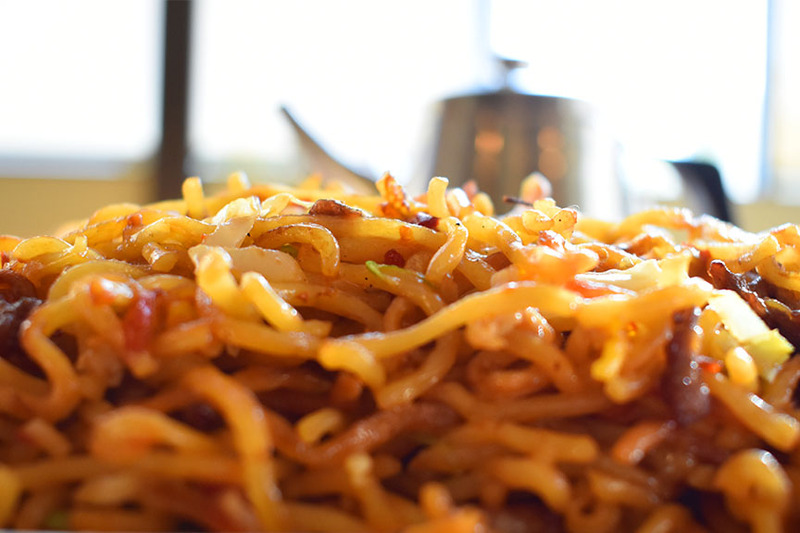 With a long history of providing the finest Chinese food to the people of Spokane, and the surrounding areas, The Cathay Inn knows exactly what it takes to make your taste buds happy. We have a fantastic selection of domestic and imported beer, wines, and mixed drinks available in our full service bar as well. We even offer gift certificates! *Can be cooked to order: Consuming raw or undercooked meats may increase your risk of foor born illness. Beef, shrimp, bok Choy, broccoli, fresh mushrooms, carrots, bamboo slices, celery, and onions stir-fried with pan-fried noodles. Topped with b.b.q. pork. The Best! Beef, fresh mushrooms, water chestnuts, green peppers, and onions stir-fried in our house special sauce. Topped with cashews. Lightly breaded chicken and onions stir-fried in our sweet chili sauce. Yum! Chicken, egg, black mushrooms, carrots, bamboo strips, green cabbage served with four pancakes, hoisin sauce, and green onions. Additional pancakes $0.99 each. Chicken, fresh mushrooms, water chestnuts, green peppers, onions, and dried chili peppers stir-fried in our house special sauce. Topped with cashews. Shrimp, egg, black mushrooms, carrots, bamboo slices, green cabbage served with four pancakes, hoisin sauce and green onions. Additional pancakes $0.99 each. Shrimp (12), green peppers, fresh mushrooms, water chestnuts, and onions. Topped with cashews. Shrimp (8), crab meat, scallops, black mushrooms, fresh mushrooms, carrots, baby corn, water chestnuts, broccoli, pea pods, and onions. Inside our house-made bird nest. The new Cathay Inn features our greatly enlarged private dining area designed to handle every conceivable function, reception, luncheon, private party or meeting. Our professional staff and award winning chefs will arrange for your special event with the service and friendliness you have come to expect from the Cathay Inn. Cathay Inn’s banquet room can be reserved with a $100 deposit. This amount represents the minimum charges for the use of the room, and will go toward the payment of the food and beverage costs of your event. Because of the popularity of our facilities, we encourage you to place your deposit with us as soon as possible. Cathay Inn’s banquet specialists can help select menu items that will make your event special. Menu selections can only be made after you have made the required deposit for the room, and must be finalized no less than fourteen (14) days prior to your function. To better serve you, the minimum attendance of your function must be specified to the Cathay Inn at least seven (7) days in advance. This number will be considered a guarantee and will not be subject to reduction. Based on the selection of your food items, Cathay Inn will plan to prepare five percent over your guaranteed number, but we cannot guarantee that additional meals will be available. Any meals substitutions made at the time of the event will result in additional meal changes. Our prices are based on banquets/meetings lasting for four (4) hours or less from the time the event is scheduled to begin. Arrangements and additional rental fees for any event lasting longer than four (4) hours must be made at the time the reservation is first made. In the unlikely event that your function must be rescheduled or cancelled, notice must be given to the Cathay Inn at least twenty-one (21) days prior to your scheduled time. Failure to provide at least twenty-one (21) days notice will result in the forfeiture of your deposit. Cathay Inn’s banquet room may be rented without food services. The charge for the room rental ‘only’ will be $100 for the first two hours and $75 for each additional hour of use. The banquet room will not be available for rental use Friday and Saturday evenings after 4:00 pm. Charges for a banquet or meeting at the Cathay Inn is based on the minimum guarantee, or the actual number of persons served, whichever is greater. Full payment if required at the time the services are rendered unless previously arranged with the Cathay Inn. Cathay Inn can help decorate for your event. Charges to do so will be in addition to those previously stated. Should you decide to provide your own room decorations for your event, Cathay Inn may assess an additional cleaning charge of up to $50. Use of the Cathay Inn’s linens and tableware is included in the costs for scheduled banquets/meetings. Items not immediately available at the Cathay Inn may be ordered at an additional cost. Cathay Inn can see to it that everything you require in the way of quality equipment and service is provided for your meeting. Charges for most equipment will be in addition to those previously stated.